For over 15 years NJ Pest has been committed to providing effective and environmentally friendly pest control, for both residential and commercial properties. We have always favored non-chemical treatment whenever possible. Recently we have become a Green Pro Certified Provider providing clean, green, and low-risk pest management services. Today only 1% of the pest control companies across the US are Green Pro certified. We are proud to say we are in the 1%. We offer fall and spring inspections (especially for rodents) as well as annual maintenance plans. We are conveniently located in Randolph NJ and provide complete pest control across the entire northern New Jersey area. We are fully licensed and insured in general pest control, termites and wood destroying insects, and School Integrated Pest Management (IPM), and all types of food processing facilities. For your added protection we are licensed by the New Jersey Department Of Environmental Protection (NJDEP) #98014A. 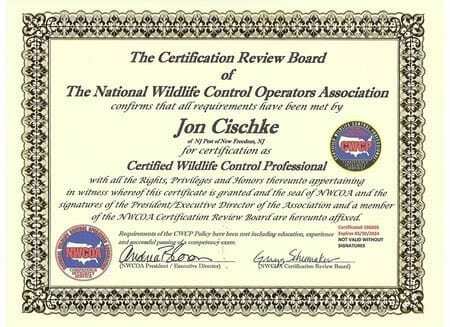 NJ Pest Control is committed to a continuing education. We actively participate in programs and seminars held by the best teachers across the US. 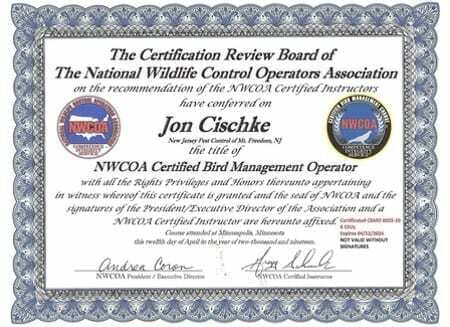 We are committed to continually learning, mastering, and bringing back to you the latest products and techniques in pest control management. 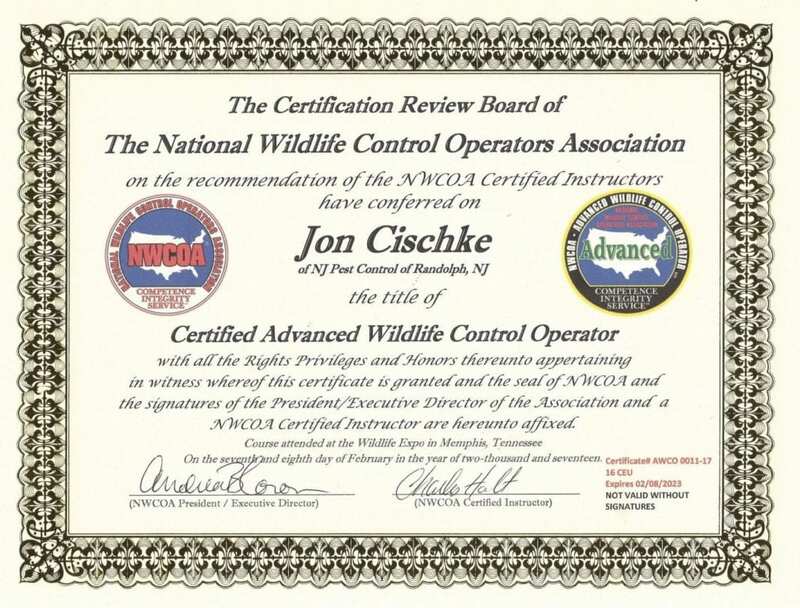 We are also an active participating member of the National Pest Management Association (NPMA), The National Wildlife Control Operator’s Association (NWCOA), and the New Jersey Pest Management Association (NJPMA). NJ Pest Control is a leader in providing green environmentally friendly and top of the line pest control services. Our Company continues to grow and prides itself by adhering to only the highest standards of performance and professionalism. Our continuous mission is to be recognized as the best service company in our industry. 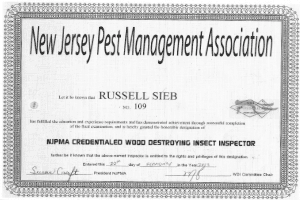 Russell Sieb founded NJ Pest in 2001. Russ is a Navy veteran that served during the Persian Gulf War of 1991-1992. NJ Pest is a veteran owned business located in Randolph. Russ has built NJ Pest with a firm foundation of pride, ethics, and honesty. 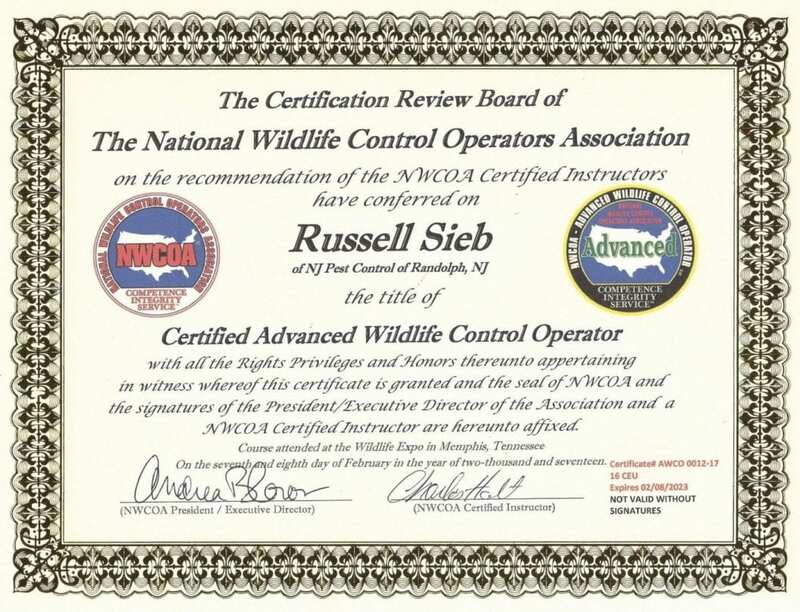 Russ’ dedication to being a cut above the rest is evidenced by his passion for knowledge. 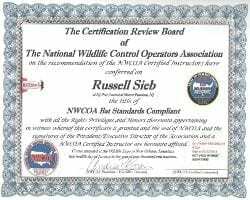 Russ is 1 of 25 of Associate Certified Entomologists (ACE) certified by the Entomological Society of America. 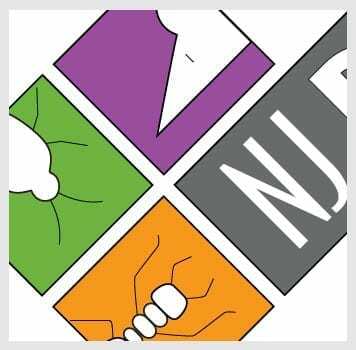 Now with the background out of the way, NJ Pest has been voted by the Morris County Daily Record’s Reader’s Choice poll Best Exterminator from 2007-2013. This is when the Daily Record took out the Exterminator category. Our primary commitment and goal are to provide effective and environmentally responsible pest control for all types of properties. Whether its a residential home, warehouse, school or restaurant, we can tailor a program to fit your needs and budget. We have been practically paperless since 2007. Through Russ’ vision, of providing quality service, NJ Pest has been voted by the Morris County Daily Record’s Reader’s Choice poll Best Exterminator from 2007-2013. That is when the Daily Record took out the Exterminator category. NJ Pest also was recently awarded the Super Service Award for 2017 by Angie’s List. 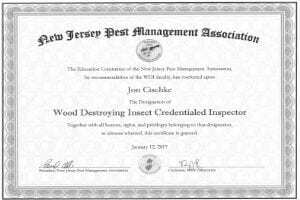 NJ Pest is also a Service Disabled Veteran Owned Small Business (SDVOSB), verified by the Veterans Administration. The process of being verified consists of several components to verify unconditional ownership of the small business by a veteran. 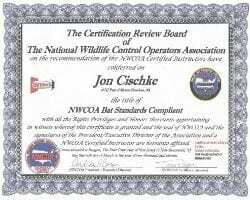 NJ Pest is proud to be the only VA verified pest control company in New Jersey. 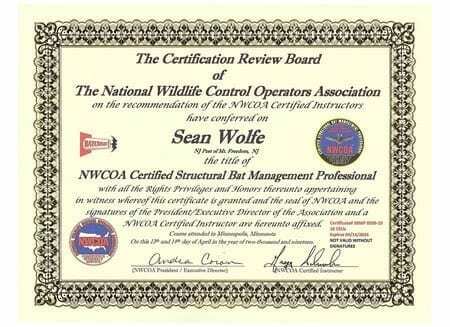 NJ Pest has the ONLY 2 Structural Bat Management Professionals in NJ. 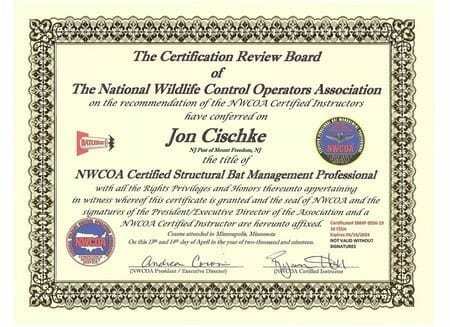 Our technicians have completed multiple intense training courses specifically on bats over the last several years These courses included bat identification, bat behavior, inspections, exclusion techniques, working at heights, safety and health concerns. Our technicians are the best trained in NJ to handle any of your bat concerns.